As always, it was great seeing Frank Howard at this year's CPAC, and I'm looking forward to seeing what he does with his campaign in my district. The stage is set for a battle royale in Maryland in 2016 between Congresspersons Chris van Hollen and Donna Edwards (and potentially others) in the senate race (for more of my thoughts on that, read on here). The fact that these two specific members are running is of special significance to me. I’ve worked on the past two campaigns against van Hollen and the previous one against Edwards, so I have a pretty good sense of what’s going on on the ground in the races to fill these two now-open seats. Let’s start with my home district, Maryland’s 8th, that van Hollen is vacating. In so doing, he is creating turmoil both in Democratic leadership and in his district. It seems that every Democrat on earth is getting ready to fill this seat. Most names are at least slightly familiar to me, so I’ll try to add some insight that other outlets might have missed, where possible. As of now, the only candidate who is officially running on either side is Delegate Kumar Barve. Barve has been in the House of Delegates for over two decades, and he most recently was in the news because he voted against repealing Maryland’s rain tax (yes, this is a real thing). What amuses me is that Montgomery County is so liberal that it is the only county in the entire state where residents actually favor keeping the tax in place (with 55% approving of it, despite the fact that 58% of Democrats statewide oppose it). Kathleen Matthews also seems all but certain to toss her hat in the ring. If her name sounds familiar it’s because she’s the wife of MSNBC’s Chris Matthews. This seems like an appropriate place for me to quickly relate an anecdote from the 2012 Republican National Convention in Tampa that I attended. 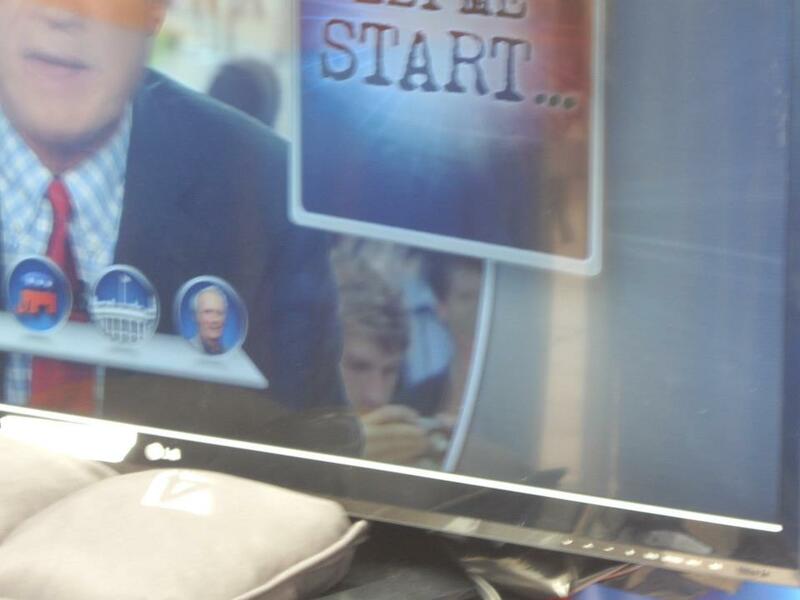 One day, I was walking around a pavillion near the convention to get lunch, and I saw that a mass of people were gathered for what turned out to be a taping of Hardball with none other than Chris Matthews. I situate myself in the front row and can see myself on the bottom corner of the screen. Although I wasn’t expecting this to happen, Matthews walks off the stage and descends into the masses to ask us about what we thought about Paul Ryan’s speech the night before. This being MSNBC, everyone hated it. Exasperated, he asks if anyone agreed with it, and I raise my hand. 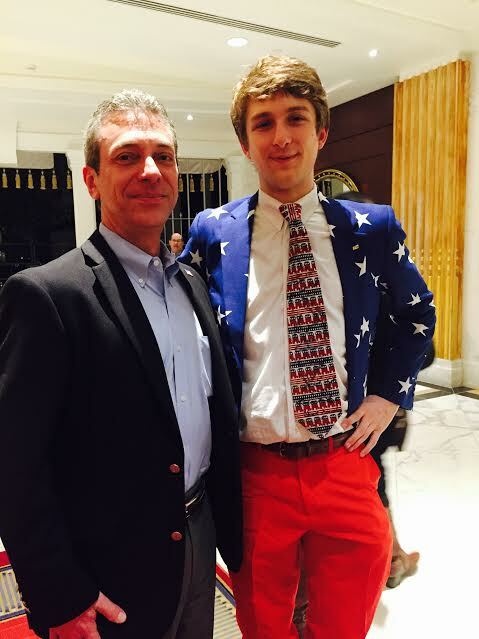 He invites me over, and as I’m walking towards him he remarks that my outfit made me look quite patriotic. Although the video has since been deleted, I was fortunately wise enough to take pictures of me on the screen. Needless to say, I wasn’t a fan of his before and still am not. State Sen. Jamie Raskin — Popular with progressives, Raskin represents part of the 8th District in the state Senate. Raskin confirmed he is “actively exploring this” in a Thursday phone call. He said he was speaking with his colleagues, his family, and his constituents. “If people think that this is the right move then I’m feeling it and I think I’ll go for it,” he said. Montgomery County Councilman Hans Riemer — Riemer holds an at-large seat on the Montgomery County Council, so he represents all of the county voters in the 8th District. “I’m looking at that, for sure,” Riemer told CQ Roll Call in a Thursday phone call. Former Del. Heather Mizeur — Mizeur ran an impressive campaign for governor in 2014 before losing in the primary. Now she is publicly mulling a bid for retiring Sen. Barbara A. Mikulski’s seat, but sources said Mizeur could run for Van Hollen’s seat instead. “She’s taking some time and weighing all her options for 2016,” said Joanna Belanger, her former campaign manager who is now helping her with press inquiries. [Nancy] Floreen — Another at-large member of the council, Floreen represents many of the voters in Van Hollen’s district. “I haven’t ruled it out at this moment in time,” she told CQ Roll Call in a Thursday call. Del. Kumar Barve — Barve, a longtime member of the House of Delegates, was first elected in 1990. “A large number of community leaders have asked me to enter this race,” he wrote in a Thursday email to CQ Roll Call. “I expect to make a decision in a couple days. Raskin actually has a surprisingly good relationship with State Senator Chris Shank, who is one of the more conservative members of the chamber. Madaleno ran unopposed last election cycle since the one candidate we had tried to run against him ultimately decided against it. Mizeur has a lot of goodwill left after her impressive performance in last year’s Democratic primary, where she was by far the most liberal candidate running. Kelly is one of my delegates. Missing in all of this discussion is of course any mention of a Republican candidate. Now I know more than most about how hard this district is to win for a Republican after working for the past two losing campaigns. However, this cycle may very well be different. Frank Howard is considering running. He ultimately netted an impressive 43% of the vote in a district that most viewed as extremely hard to put in contest. I’m not naive enough to expect the Post to endorse him this time around, should he choose to run. However, one of the main obstacles facing Republicans in areas like Montgomery County is getting our names out, and the Post can’t deny knowing who Frank is, and that alone will hopefully ensure him some more coverage than the previous two candidates received. “Laytonsville, MD (March 11, 2015) – Frank Howard turned some heads in his run for the Maryland State Senate, and now he is considering a run for Congress. “Last fall before the elections, both the Washington Post and the Gazette newspapers editorialized that the residents of Maryland and Montgomery County are not well served by the lack of two-party governance,” said Howard. “I agree with them and can confirm their stance from conversations with thousands of voters, of all political affiliations, that people feel the need for positive change in Annapolis and Washington, DC. I’m an independent outsider who wants to represent them, and so am exploring a run for Congress to help improve the quality of life for residents in Maryland’s 8th Congressional District. Howard surpassed expectations and garnered 43% of the vote in Montgomery County’s Legislative District 14. He attracted supporters from across the political spectrum, and in addition to the Washington Post was endorsed by the Maryland Farm Bureau PAC and the National Federation of Independent Business. Currently Howard serves as the President of Change Montgomery County, a non-partisan, non-profit 501(c)4 organization. As always, it was great seeing Frank Howard at this year’s CPAC, and I’m looking forward to seeing what he does with his campaign in my district. Looking to the general election, if Matthews is ultimately the nominee (which is far from certain, given how volatile the field is assured to be), I’m sure she’ll get plenty of coverage from her husband, but this can very easily play into the Republican’s hands, since the district would be on national radar simply because of that fact. Let’s face it, Republicans hate Chris Matthews, and I’m sure plenty of Republicans nationwide would write Frank (or whomever) a check just to express their displeasure with Matthews. Also, Democrats can be wary of starpower at times. Just ask Sandra Fluke, who couldn’t even get elected to the State Senate despite tens of millions of free publicity. Former State’s Attorney Glenn Ivey — Ivey, who worked in Prince George’s County from 2003 through 2011, mounted a brief primary challenge to Edwards in 2012 before dropping out due to a lack of funds. A source close to Ivey told CQ Roll Call he will likely enter what is now an open-seat race. Former Lt. Governor Anthony Brown — If he enters the race, he has the advantage of near universal name recognition in the district. Before Brown served statewide, he represented Prince George’s County as a delegate. In his 2014 gubernatorial bid, he won it with 85 percent of the vote. A source close to Brown said he’s strongly considering a run and will make his intentions known soon. But there could be lingering bad feeling toward Brown, whose 2014 loss gave the governorship to Republicans for only the second time since 1969. State’s Attorney Angela Alsobrooks — Alsobrooks was the first woman to be elected to that role for Prince George’s County. She is currently serving her second term in the post. She did not respond to CQ Roll Call’s request for comment on the House race. State Sen. C. Anthony Muse — Muse has represented Prince George’s County in the state Senate since 2007. He did not return CQ Roll Call’s requests for comment. Former Del. Aisha Braveboy — Braveboy represented part of Prince George’s County in the House of Delegates until she left office in January. Braveboy told CQ Roll Call Tuesday the House seat is “something I’ve got to think through. But right now I’m just focused on” Edwards. Prince George’s County Councilwoman Andrea Harrison — Harrison has served in that body since 2008. She did not return CQ Roll Call’s requests for comment on the House race. Former Prince George’s County Councilwoman Ingrid Turner — Turner served in that role from 2006 through December 2014. CQ Roll Call was unable to reach her for comment. Del. Joseline Peña-Melnyk — Peña-Melnyk represents a district that includes parts of Prince George’s County and part of Anne Arundel County. She declined to comment Monday through a spokesperson. Ivey is the husband of Jolene Ivey, who ran on a gubernatorial ticket with Doug Gansler, which was of course defeated by Anthony Brown in the Democratic primary. I’ve written more about Anthony Brown than I can even keep track of (if you have a lot of time and want a record of some of the more recent posts, click here). That said, he did win 85% of the vote in Prince George’s County, which makes up most of this district, just last year. However, he also ran one of the worst campaigns in modern political history. It remains to be seen if local Democrats feel any desire to help him out again this time around. Muse actually primaried Ben Cardin in 2012. He did terribly, failing even to carry PG County. Braveboy ran unsuccessfully for Attorney General last year, coming in last out of three Democratic candidates in the primary. Hoyt declined to state if she was running again. The moral of this story is that both districts are going to have some extremely interesting elections, and I’m hoping that the media realizes that we are no longer the one party state we were viewed as not even half a year ago.